Guys, have u internet connection on your mobile and u dont have internet connection on your PC or laptop. So Here is a trick from which u can make your mobile phone as a hostspot. 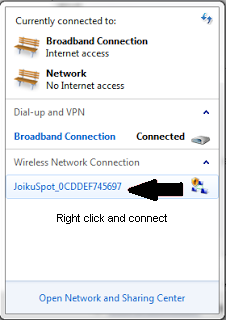 Have complete freedom of naming your HotSpot, full connection security and full feature set with all internet protocols supported. Install this file in your cell phone. Then it will act as Wifi Modem and you can check for a Wifi Connection in your Other Wifi Device for this Wifi connection. N8, E7, C6-01, C7, E51, E52, E55, E60, E61, E61i, E63, E65, E66, E71, E72, E73, E75, E90, N78, N79, N80, N81, N81 8GB, N82, N85, N86, N91, N93, N93i, N95, N95 8GB, N95 Americas, N95 8GB Americas, N96, N97, N97 Mini, 5530 XpressMusic, 5630 XpressMusic, 5730 XpressMusic, 5800 XpressMusic, C5-03, C6, E5, X5, X6, 6710 Navigator, 8800 Erdos, E6, X7, 702T, T7, Oro, Nokia 500, Nokia 600, Nokia 700, Nokia 701, Nokia 603.